The Christmas season is the season of lights. You see them everywhere – on houses – strung across the streets of towns – in the windows – even wrapped around trees. Those of us who live near water, and particulary in the warmer climates, are lucky to have our own sort of lighted Christmas parades in the form of flotillas. If you have never been to a flotilla I recommend it highly. Yes, it is a parade on the water, however, it always takes place at night – in cold weather – in warm weather – not likely to be rained out – but it can be fogged out like it was in Southport, NC last year. There is something very special about viewing a flotilla – about the boats slipping across the water in the night with lights gleaming from stem to stern and up and down the masts. There may be music, though it is often muted and you can hear the music of the water lapping against the shore. If you have a chance to see a flotilla this year – don’t miss it. There are two in Brunswick County. The first is on Saturday, November 30 in Ocean Isle Beach and it takes place in the Intracoastal Waterway where it starts at the Inlet View Bar and Grill at 5 PM and ends at Sharky’s Restaurant. You can also attend the party there with music beginning at 9 PM after the flotilla each year. 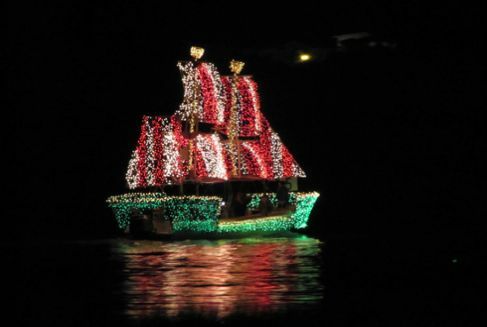 The second flotilla, the Southport Christmas Flotilla, begins at 7 PM and can be viewed from Waterfront Park in Southport, NC on December 14. This flotilla starts and ends in the Old Yacht Basin. The creative winners of this flotilla are judged by Southport Elementary School art students. Flotillas are family friendly activities, so bring the kids with you for a lovely family event. In fact, make it a tradition. Yes, I know, it is not yet Thanksgiving. However, once Thanksgiving has arrived and you have feasted you fill of food, and the relatives have gone home again – or you have gone home again – the madness of preparing for Christmas will begin. So, why not enjoy a bit of Christmas early, in a leisurely fashion, before the crazy rush. Besides, you will very likely be able to find some of the gifts you will need at this festival as well. 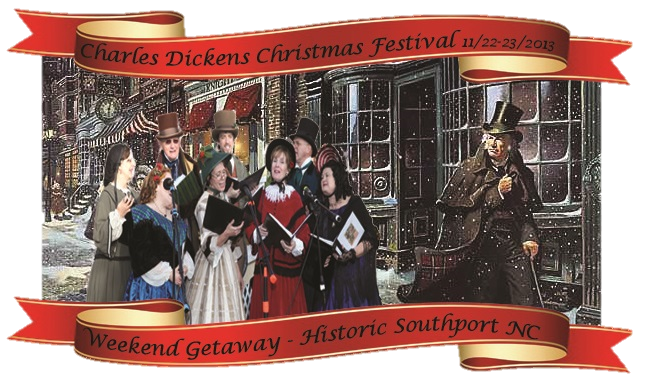 6:30 to 8:30 Southport Community Building – 223 East Bay St.
 Victorian apparel is optional – but encouraged! 10:00 to 6:00 Franklin Square Park – 130 E. West St.
Pre-qualified (juried) artists and craftsmen and/or exhibitors sell their hand-made, one of kind creations. Food and froth for sale – some specialty selections! 10:00 to 1:00 Franklin Square Park – Children’s Contest – 130 E. West St.
10:00 to 5:00 Franklin Square Park Stage – 130 E. West St.
12:00 to 2:30 Southport Community Building – 223 E. Bay St.
3:30 to 5:30 Southport Baptist Church – Sanctuary – 200 Howe St.
6:00 to 6:45 Franklin Square Park – 130 E. West St. Tribute to Charles Dickens by Candlelight – ringing and singing in the holidays!  Ringing and singing in the holidays! I really wanted to attend a poetry workshop on “The Epistolary Poem: Letters from Within.” in Charleston today. I was looking forward to seeing a friend I have not seen in years and meeting some new friends as well. I had hoped to learn how write a poem to the hawk that hovered between the ridges of autumn trees in Pennsylvania during a recent visit I had made. Or to the stars my daughter, my sister and I stood under one chilly early morning where we held hands in a circle and made a wish. Or to the ocean, so faithfully there every time I return home from somewhere else. But it was not to be. By mid morning I decided to take myself down to the beach for a walk. 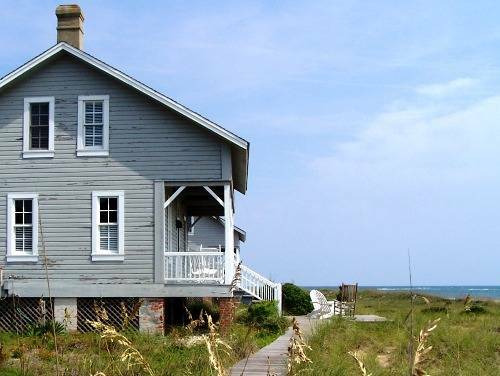 I threw a long sleeved shirt that had been my daddy’s over my T-shirt and drove the few blocks to the beach access. I had not taken many steps when I realized that the shirt had to come off – to be tied around my waist. The November sun was warm, as was the sand under my bare feet, and the breeze was light. A perfect day. There were a couple of people paddle boarding on the calm water and a number of men surf fishing as I walked along. I don’t think they even cared if they caught anything or not as they sat comfortably in their beach chairs watching their lines. A couple of them had their families with them. Their wives had stretched out a quilt on the sand and the kids were running, searching for shells, laughing and totally enjoying themselves. A little two year old boy plowed the sand with his toy front end loader. A few people were sitting in beach chairs reading books. People were walking their dogs – one couple had two Border Collies with them. I hoped to run into Susie, the shelter dog, who I am trying to teach that I am friendly. I met her mom, Jeannie, the other day and as I squatted down and put out my hand, Susie came up to sniff it. Not like the first time I met her when she ran away from me. Jeannie said that is the closest Susie has come to anyone else since she got her from the shelter. It must be terrible to live in fear of other people. And so, the walk on the beach did not disappoint – it never does. 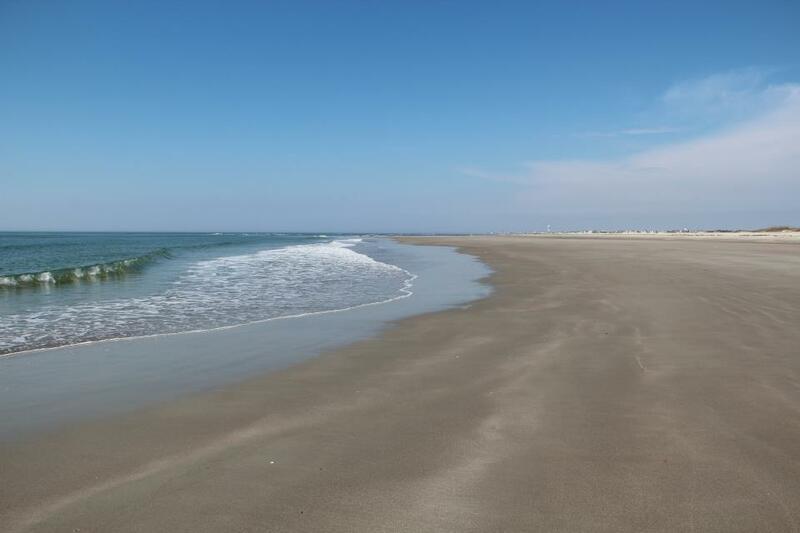 And this scene is being replayed on every beach in Brunswick County – a special place to live or to visit. And – it’s all good. This years’ participants, who hail from such far flung places as Rwanda, Australia, Houston, China, Philadelphia, San Francisco, Raleigh and Seattle, boarded the Bald Head Island Ferry on November 1 to begin their adventure. Once settled in they began their projects in film making, photography, poetry, paper making, sculpting, painting and mixed media. Many of the artists work in more than one medium and some of them cross mediums from visual art to writing. The unique ambiance of the island, the music of the sea and the bright sky will definitely add to the inspiration each of these artists brings to his/her work. The synergy and excitement of working together will be a catalyst to more excellent work as well. If you would like to get a taste of this experience, you are in luck. There will be an open studio day on November 13 from 10 AM until 4 PM where you can mingle with the artists and take part in the creative process.